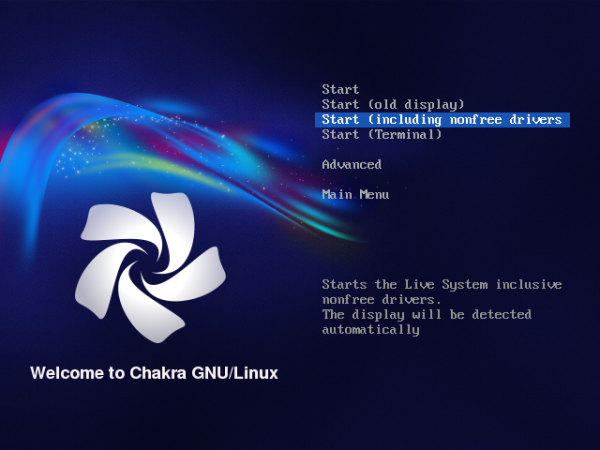 Chakra is a Linux distribution based on Arch Linux. It evolved from a hobby project to what is now, from my initial assessment, a very solid desktop distribution with features not yet available on established Linux distributions. 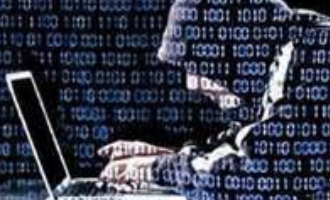 The developers warn that, “This is alpha software, it could eat your hamsters.” It did not eat my hamster, but the time I spent installing and reinstalling it on multiple machines and in a virtual environment was very eventful. For this review, the first for Chakra on this website, I will let the screenshots do most of the “talking.” I like this approach better because, as they say, a picture is worth more than a thousand words. A screenshot with one or two paragraphs conveys more than a dozen paragraphs of colorful descriptions. 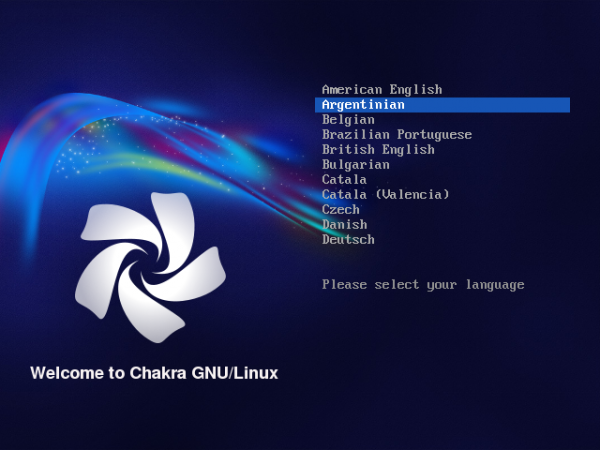 The version of Chakra that is the subject of this review is Chakra GNU/Linux 2011.04, code-named Aida. It was released on April 27, 2011. 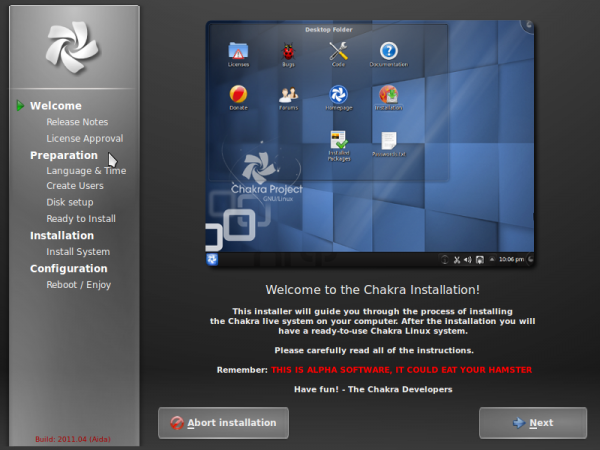 Installer and Installation Process: Installation of Chakra on 32- or 64-bit platforms is via a CD or DVD ISO image. A system installed using a CD ISO image contains very little useful software, so if you are going to give Chakra a try, use a DVD ISO image. Both images are Live images, so you can try before you install. The image below shows that 11 languages are supported. The second on the list is “Argentinian,” But is that really a language? After the language selection step, you are presented with several other options. If you are not a Free Software purist, the third option is the way to go. If you look carefully, there is a missing closing parenthesis on that line. This may seem trivial, but developers tend to welcome this type of feedback. Nitpicking? Nope! If you are installing from a DVD ISO image, you get a choice of using a “standard kernel” or an “lts-kernel.” In this release, Chakra 2011 04, the former is Kernel 2.6.38, while the latter is Kernel 2.6.35. The interesting thing is that when I chose the first option during a test installation, the boot loader still presented an lts-kernel-based system as default, with the standard kernel-based system as optional. After the boot options, the main page of Tribe, Chakra’s installation program, reveals a well-designed application. It has its quirks, but overall, the design is beautiful. It crashed a few times, but given the cautionary line in red, I was not surprised or annoyed. If it had the reboot-just-the-installer feature of YALI, the installation program of Pardus, it would have saved me a lot of time. This step has some resemblance to the same step on YALI. 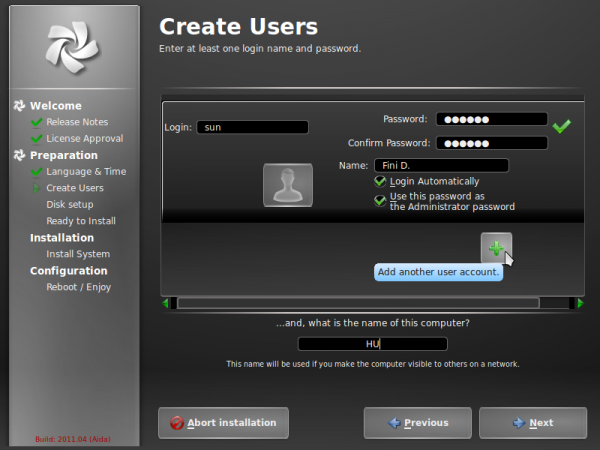 By default, automatic login is in effect, and sudo will be used. 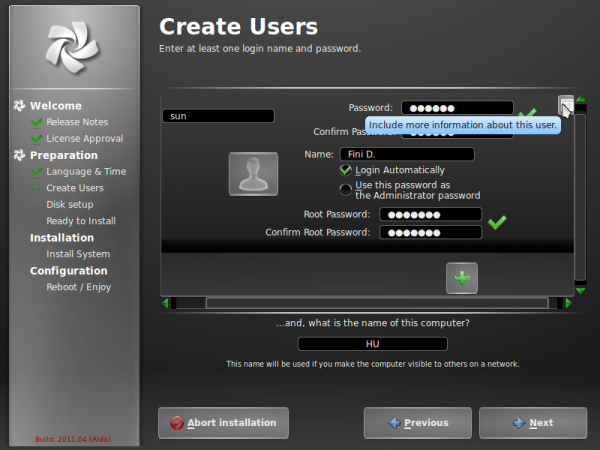 The automatic login option and the option below it are only revealed if you click on a button to the right (not visible in the image below). My opinion on automatic login is it should never be on by default because it is a negative security event waiting to happen. If you uncheck or unselect the sudo option (“Use this password as the Administrator password”), you can then type in a traditional root user account password. I prefer a distribution that uses the traditional root user account system. That is the result of a GPT-based partitioning scheme, which is the default on Chakra. Unlike the MS-Dos or MBR-based partitioning scheme, which can only support four primary partitions, GPT (GUID Partition Table) allows for upto 128 (primary) partitions. 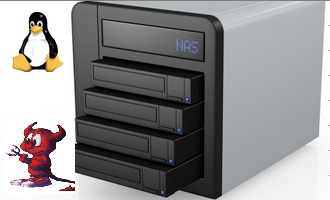 On the test installation from which the image below was taken, each major file system directory – /boot, /, /usr, /var, /tmp, /home and /opt, was on a separate primary partition. 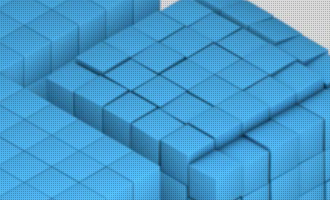 More than just giving you the ability to configure more primary partitions than the MBR maximum of four, GPT supports partition sizes larger than 2 TB, the limit for MBR. Read more about the benefits of GPT here. Have a question about GPT-based disk partitioning on Chakra 2011.04? Post it on the Q & A section of LinuxBSDos.com. To answer your question, no “Argentinian” is not a language; it should be written “Argentinian Spanish” just like it says “American English.” Argentina, along with a few other Latin American countries, uses the pronoun “vos” in place of “tú.” This is accompanied by a change in the conjugation and placement of accent in the second person singular. Argentina is one of the few countries where the “Voseo” is used in written Spanish. It seems odd that if 11 languages are supported, all of them are within the four first letters of the alphabet… Could it be that the reviewer didn’t bother to press the down-button enough to see if it was possible to scroll down to other languages? Wasn’t obvious, but you are right, more than 11 languages are supported. This is something I was looking for. An excellent KDE distribution and half rolling system rulez! I wiil bother to reply. You said that Chackra is a pure QT distro. 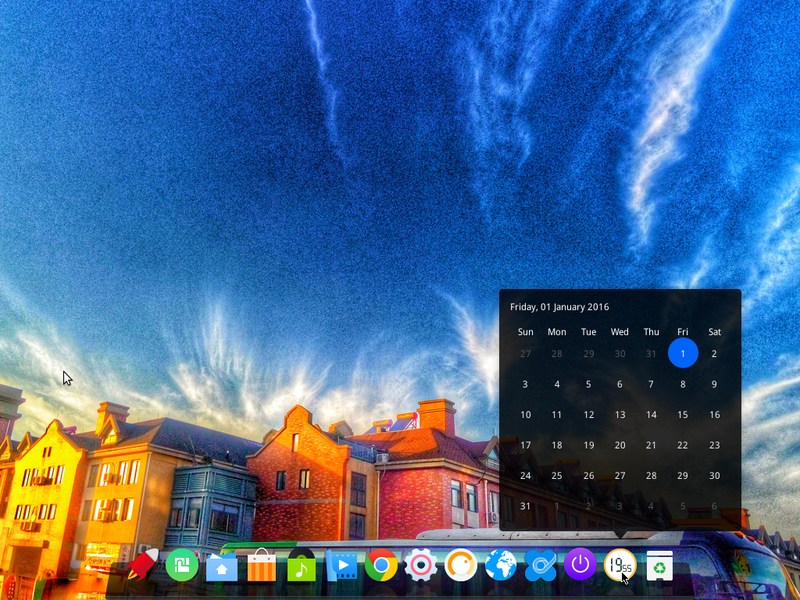 Well it seems to me that the devs are only trying to ditch away GTK and no other toolkits. 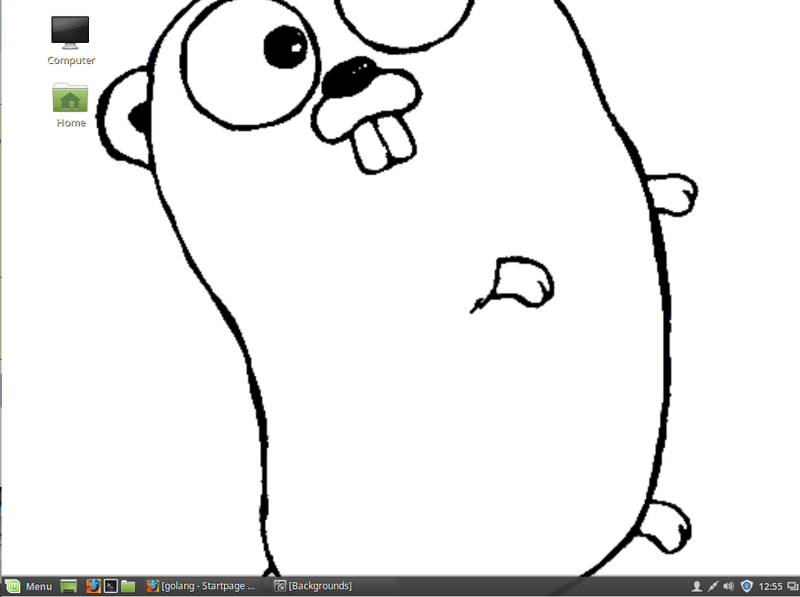 LibreOffice is not Qt, so Chackra is no pure QT/Kde. If they were, they had would have used Koffice or Caligra. I win again. couldn’t install due to bug, but couldn’t register on forum to post bug report because of the “human test” that requires a linux commandline… Catch-22?! WTF is wrong with just uing a captcha image? Also, installer is a throwback to 5+ years ago, no encryption available or using existing /home partitions. Out of curiosity, what was the “bug?” What type of PC and what ISO image – 32- or 64-bit – did you use? some bug with the x64 installer, tribe. The install seemed to work fine but after the reboot no operating system was found. I think a distro’s community is the most important factor in using that distro, and not being able to even register for their forum is a stupid UI error, that may or may not reflect on the the distro’s attitude and ease of use. 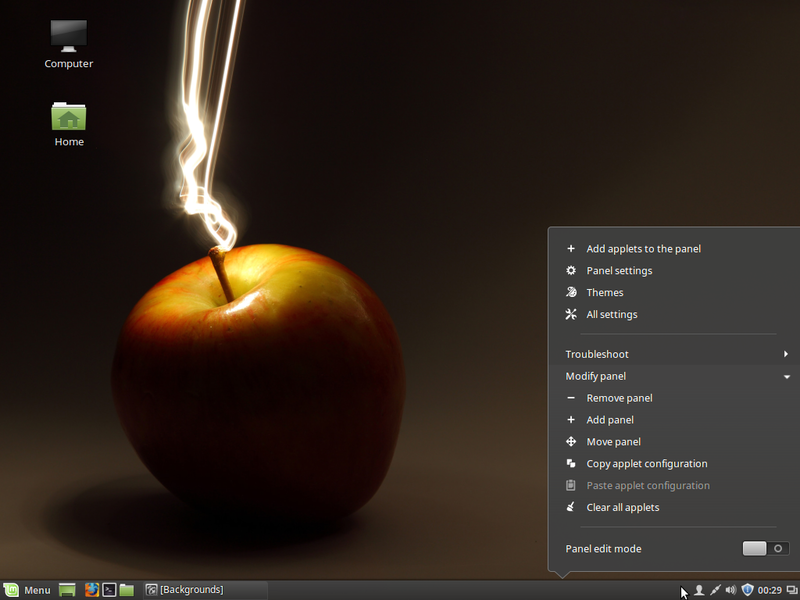 I going to take the recommendation in the comments from this article to try Linux Mint/KDE. Oh, also, I just learned that the Chakra sobs killed kdemod, that’s a good enough reason to hate them as any… kdemod was a beautiful thing that didn’t have to die, but they wanted their own sweet distro, I guess. 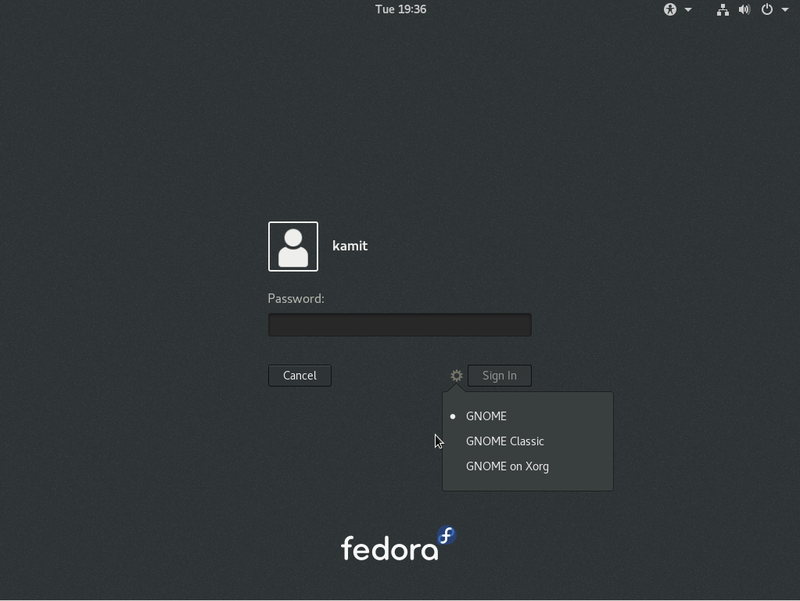 KDEmod was not killed, Chakra’s implantation IS KDEmod, just the name is no longer used (since it is no longer based on Arch, no need to seperate Arch KDE form KDEmod). I think it can do a bit better on polishing the tribe installer. It looks good but partition part needs to be better. The installed system is very stable and the half rolling release makes it for me a bit better then arch where i need to go to console sometimes to fix some problems. Why is the installer full-screen? I had a network problem during install, which caused the install to hang, and there was no way I could diagnose or do anything about it. Give users control over their machine at all times. Don’t take control away, it frustrates. If you were attempting to install from a CD/DVD, what is the connection between your “network problem” and the installation? Did you try Atl+F1 that should summon kick off. I said it before, and I’ll say it again, useless piece of crap. Lost all of arch’s power, far from Suse’s professionalism, nowhere near Fedora’s innovation, light years from Ubuntu’s polish. Stop blogging nonsense. Easy to say without giving examples why you think that. What is useless crap is this kind of reply’s. Stop replying nonsense. Already gave the reasons. Everybody thinks he/she has the perfect idea for a distribution. But when you really look at those efforts you realize that the work put on packaging, creating installer tools,etc is in vain. Whose needs are they trying to address? Wouldn’t those effort be better distributed in other areas, like improving overall Linux desktop experience? Must we always start over again. What does Chackra have uniques? NOTHING!!! 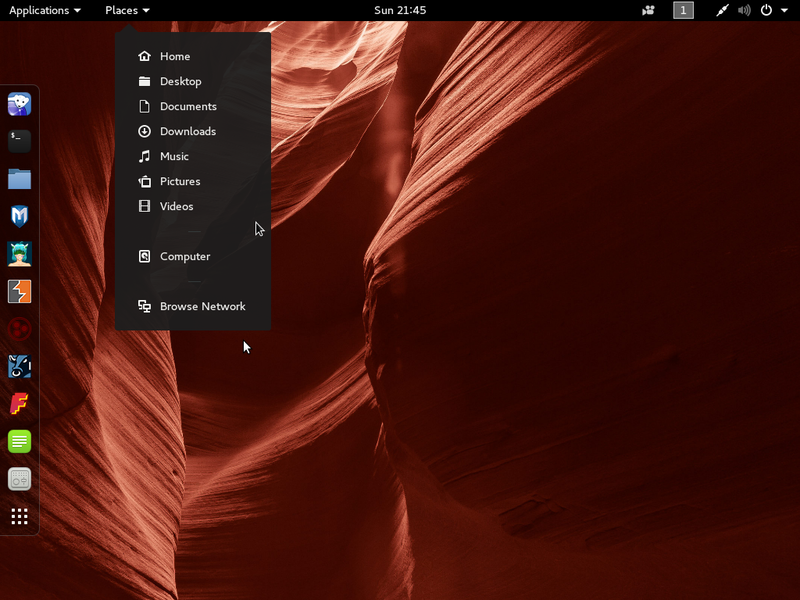 Where does it stand apart from other distros? NOWHERE. 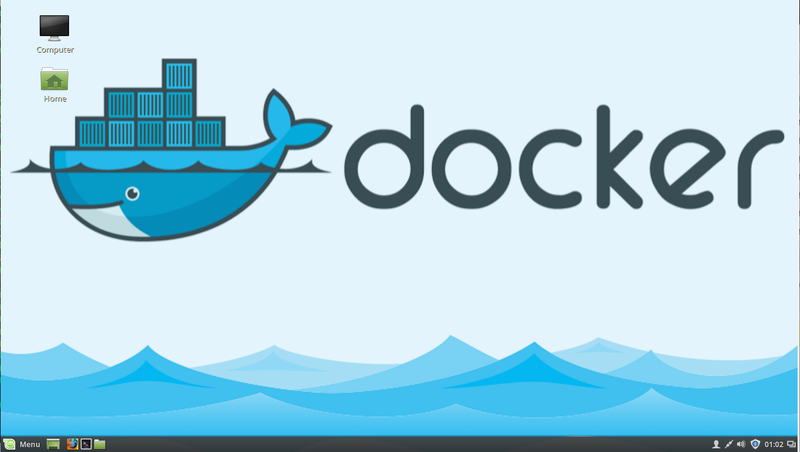 So, does it worth the effort of creating a distro for 100 people? It hurts, but in this way will never stand a chance against Apple and Microsoft. Is’t this the thing Linus referred by “mental masturbation”? I get your point, but this is one of the side effects of freedom. Btw, you could have said the same thing regarding Ubuntu, but, despite how I feel about it (Ubuntu), look at how it has fared vis-à-vis Debian. 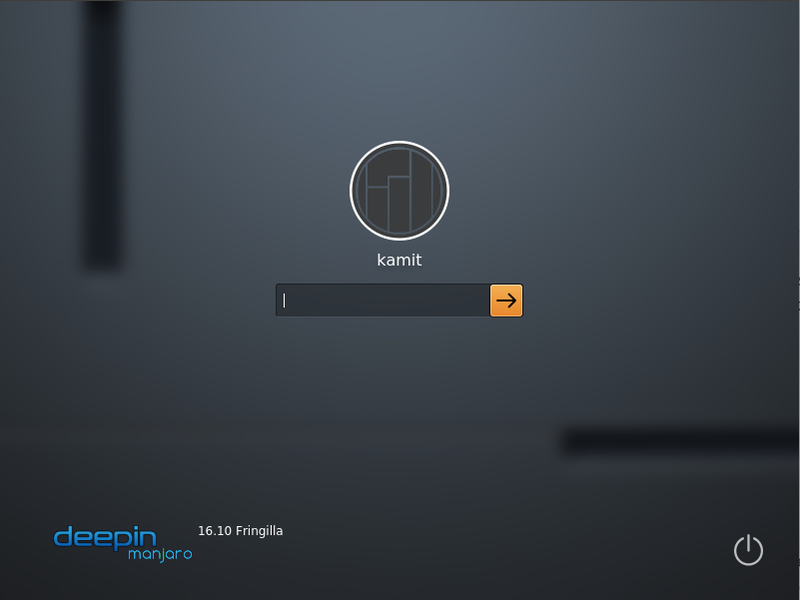 It fits my needs, there isn’t any good almost clean kde distro. Arch is to much work sometimes where chakra gives me less. Later on they move away more and more from arch. Ubuntu doesn’t give a good kde experince. Suse and redhat are to slow and give to much i don’t need. If no one thinks they can do better there will be no inventions of new things. The brought kdemod on arch, if they didn’t do that then arch kde was still the same. I don’t search a one fits al linux i search a linux that fits my needs our comes close to it. It fits my needs, there isn’t any good almost clean kde distro. Arch is to much work sometimes where chakra gives me less. Later on they move away more and more from arch. Ubuntu doesn’t give a good kde experince. Suse and redhat are to slow and give to much i don’t need. If no one thinks they can do better there will be no inventions of new things. The brought kdemod on arch, if they didn’t do that then arch kde was still the same. I don’t search a one fits al linux i search a linux that fits my needs our comes close to it..
Read what I wrote one more time. You are just a mindless blind troll, so STFU and keep your crap to yourself please. 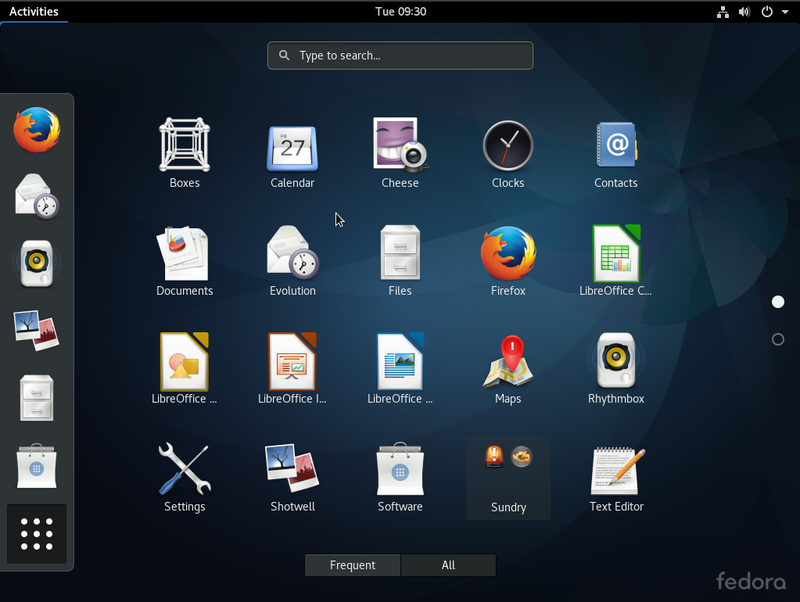 Pure KDE/QT…LibreOffice? 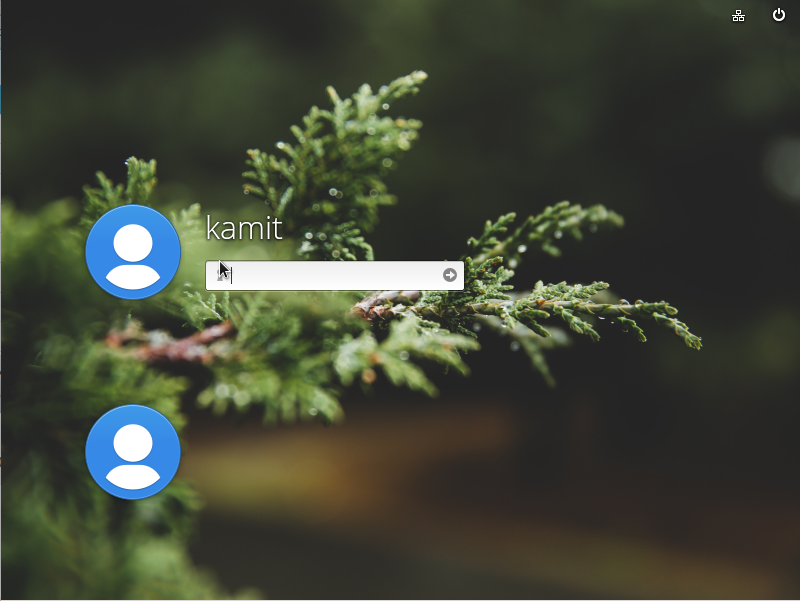 Optimized and gorgeos KDE…please list the important patches Chackra applies to kde to make it so optimized. Then compare the look of Chackra with the latest MintKde…is Chackra so gorgeous? Half rolling release…nice, but always true innovations are made in the kernel area, Mesa, X, etc. Plus, whay did they really need to rewrite AUR??? That is the thing it pissed me of, do we really have to rewrite everything always when inspiration strikes us?…Oh and…Pyruzan…you are mentally incapable of understanding what trolling means, so stop using it please! Since you are just what I said above I have no intention to argue with you, so don’t bother replying me. I´m from Argentina, and we speak spanish, so Argentinian probably refers to our variation of the language. It should say “Argentinian spanish”, just like it says “Brazilian portuguese” or “American english”. Great review of great system. Can’t wait to put my hands onto it for my own experience!